Safe Water and Sanitation | Campaign for Australian Aid How has Australian aid helped more people access clean water than ever before? 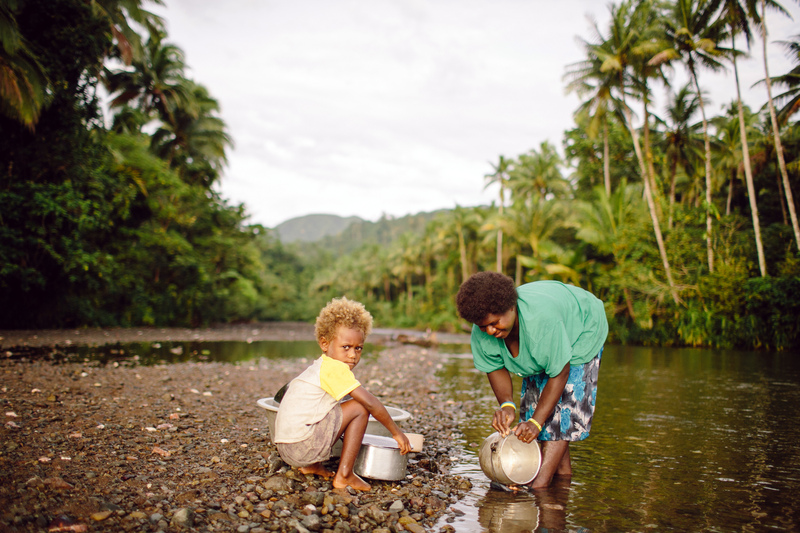 What has Australian aid done for Safe Water and Sanitation? What does safe water, sanitation and hygiene mean for the world? More than 1400 children die every day for preventable diarrhoea linked to unsafe water, sanitation and hygiene.Access to improved water supply, sanitation and hygiene would stop many of these deaths. Women and girls are typically responsible for household water collection. Freed from walking long distances to collect water, women can pursue paid work and girls have time to attend school. Every $1 invested in improved water supply and sanitation generates an average of $4 in benefits, through reduced healthcare costs, increased productivity and time saved. The village of Nunhou in East Timor is home to Celistina, her husband Silverio and their three young children. Collecting water used to require a one­hour round trip to the local river, across rugged, hilly terrain. Depending on their water needs for the day, and the size of the jerry can they had on hand, Celistina could find herself making two to six trips a day. Celistina and Silverio make their living running a small kiosk in their village. The kiosk used to sell only groceries and snacks. Since the village water system was installed they’ve expanded to sell spare water parts, and after learning about the importance of toilets and hygiene in WaterAid training, Silverio produced cement toilet pans to sell. Silverio’s toilet pans were so popular the initial batch sold out. The kiosk is now a hub for discussions about water, sanitation and good hygiene. It’s a one-stop shop for community members; people can visit for advice about their taps and toilets, and to buy replacement parts and toilet pans. Celestina and Silverio’s kiosk is helping to ensure that services are sustainable and keep working well into the future. Alongside health improvements, one of the biggest benefits of access to safe water and sanitation is the time saved. As Celestina says, “sometimes it was lunch time and there was no water, so we needed to go to river to get water. Now we can spend time doing other activities.” Celistina and Silverio have been able to put the hours they used to spend each day collecting water for drinking, washing, cooking and cleaning into building a successful business. When asked about her hopes for the future, Celistina’s response is one that most Australians would share. “For my children I need to look after them and take care of them so they can go to a good school and be good people.” Through the business she and her husband have built, Australian aid has given Celistina the opportunity to turn that vision into reality. How Australian aid has changed the world?